A little late on this (and a little behind on posts) but I figured this would be as good a place as any to post a Top 10 list. Motorhead’s swan song consists of 12 raging tracks that don’t stray too far from the Motorhead formula and a cover of The Rolling Stones’ Sympathy For The Devil tacked on at the end. No complaints here. The Montreal pop/shoegaze-revivalists play around with their sound straying even further from the crushing waves of noise they’ve been known for. Purple is described by vocalist/guitarist/songwriter John Baizley as being about the bus crash that almost destroyed the band without being directly about the bus crash. Purple is one as accessible as previous double-album Yellow/Green but also more immediate. The most telling trait of this album is that I wasn’t sure whether to look for it in the rock section or the metal section at the record store I was at. Buoyed by their ability to overlay pop melodies over math-rock and post-rock arrangements, … And So I Watch You Afar presents a strong collection of not-quite-instrumentals that manage to avoid the melodrama that has been associated with the genre over the years. I’ve placed this album so high based almost entirely on the strength of single “Carrion Flowers” (featuring Mike Sullivan from Russian Circles) Wolfe has finally embraced her heavy side by adding crushing metal riffs to her ambient dirges. The comeback of all comebacks, Swervedriver delivers their first full-length since 1998′s 99th Dream (singer/songwriter Adam Franklin has been entrenched in various other projects over the years) and boy do they *deliver*. Picking up where they left off, Swervedriver’s latest is full of spaced out rockers perfect for any road trip. Fans of Swervedriver will eat this up and newcomers will not be disappointed. Two parts Cocteau Twins and one part Natalie Imbruglia with a French twist, Grimes’s album Art Angels is full of infectious tunes that straddle the line between pop-rock and electronica. This one’s all over the place and really surprised me. Imagine your favourite Iron Maiden or Judas Priest records on fast-forward and you’ll get an idea of what Enforcer sounds like. Four records in (with more coming in 2016) and they still haven’t run out of steam. Enforcer provides a super-slick turbo-charged trip down memory lane. 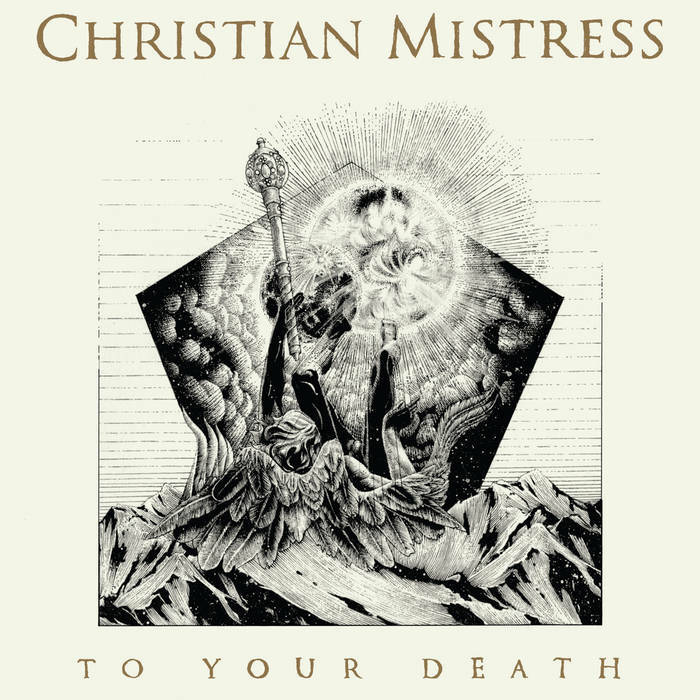 Proving that there is still a place in the world for authentic-sounding old-school metal, Christian Mistress combines standout songwriting, Rhoadsian musicianship and the smokey vocals of Christine Davis to create an unmistakeable sound. It doesn’t get much better than this.